Whether you’re spending the weekend hunting or just wanting to kick back and enjoy the outdoors, this is the boot you’re looking for. 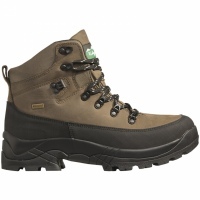 Made from top-grain Nubuck leather, the Apache is warm, durable and waterproof. 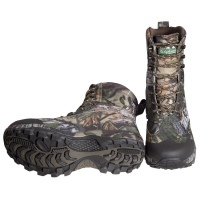 The Apache is a mid-cut, waterproof boot, with a Hyper Grip textured outsole. The Hyper Grip rubber composite provides excellent traction on both wet and dry surfaces, meaning you’re less likely to slip and scare that deer. The well-built and secure sole will be light and sturdy as you stalk through the bush. Waterproof treated leather, and a Hydroguard Membrane, combined with the Thinsulate inner will mean your feet stay warm and dry all weekend.